Hyderabad, Feb 14: Ever since its release this morning on the occasion of Valentine's Day, the trailer of Controversial filmmaker Ram Gopal Varma's latest film Lakshmi's NTR has gone viral! In this regard, The trailer of this film reached a whopping 5.5 lakh views in just 1 hour of its release. The overjoyed filmmaker RGV has been tweeting at this as well. 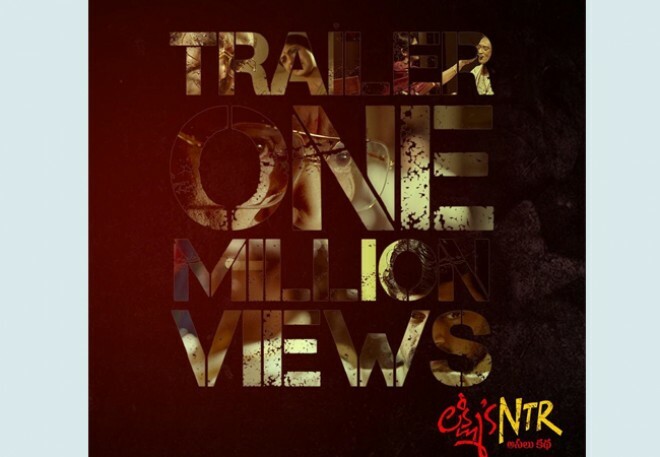 The trailer one managed to garner 1 million views in a one-and-a-half hour. Not stopping at that, RGV went on to the extent of calling the late politician as Lord NTR in his next tweet. The trailer of Lakshmi's NTR was released this morning around 9:30 AM with this tweet by RGV.